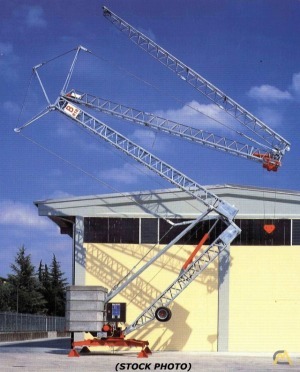 GRU BENEDINI was born in 1958 building low-speed rotating self-erecting crane. 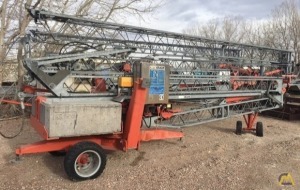 In 1973, the assembly system was revolutionized thanks to the creation of a kinematics moved by oil hydraulics cylinders, a system that every building company has consequently copied. The current range of cranes includes: Hydraulic low-speed rotating self-erecting cranes, with jib length from 14 to 37 meters and capacity up to 3000 kg. à City high-speed rotating crane, with jib length from 40 to 51 meters and capacity up to 3000 kg. à High-speed rotating modular Flat Top crane without cusps, with jib length from 30 to 70 meters and capacity up to 12, 000 kg. High resilience, quality, carefulness of details and an over 50 years experience make Benedini Crane the best point of reference in terms of safety and reliability.